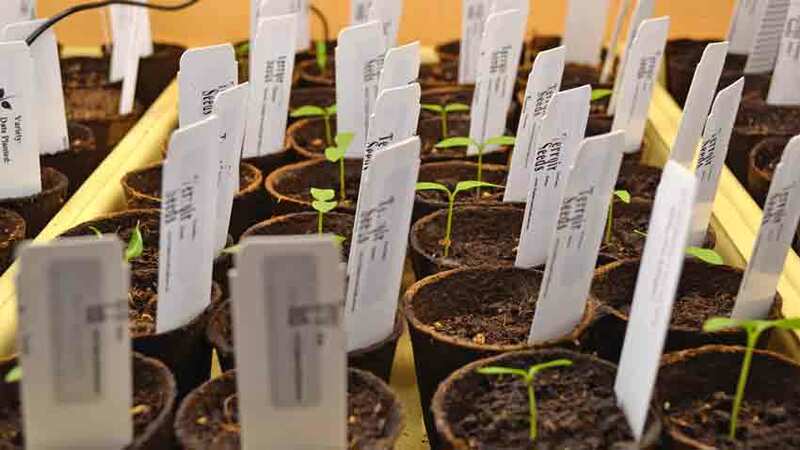 Seed germination is affected by several factors – moisture, temperature, light, soil or seed starting media, time, observation and last but not least patience. 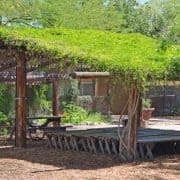 We have covered most of these elements in “Starting Seeds at Home – a Deeper Look”, “Seed Starting Media for the Home Gardener” and “Are Seed Starting Mixes Worth Your Money?” What we haven’t covered are time, observation and patience. 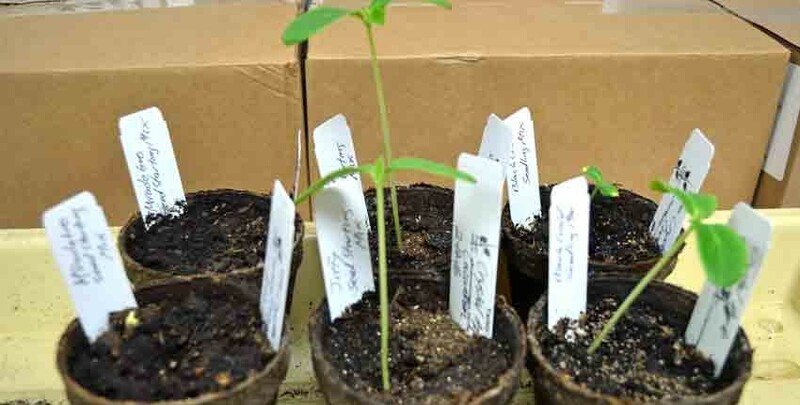 Recently we wrote an article on seed starting mixes, linked above, and did a small experiment to see how they compared to each other in germination of a single seed of the same variety in the same conditions. What we learned is interesting, but also taught us some things we want to share with you. Two of the seed starting mixes had very good seed germination in about the same amount of time, while one did not. At the same time, a different variety of seed was planted in an adjoining tray with the same temperatures and very similar moisture and the seed germination was very good and consistent, yet was the same seed starting media that did poorly in the single seed test. This is where time, observation and patience enter into our story. Seeds need the exact right conditions to germinate. If one or two of the conditions are right, but another is not, the seed will simply remain dormant or in worst case start to decompose. It is only when every condition is right the seed germination occurs. We gardeners make the mistake of thinking only we can provide those perfect conditions with our heated pads and thermostats, moisture probes, soil thermometers and lights. We forget the seeds left in the garden, untended and unmonitored which germinate in their own time, when the conditions are just right. 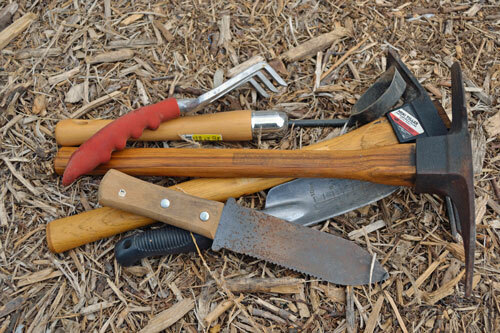 The same goes for the seeds in the forest, in the ditch by the side of the road or anywhere we aren’t planting them. This is the initial test – three sets of seed starting mixes with two cups of each mix. 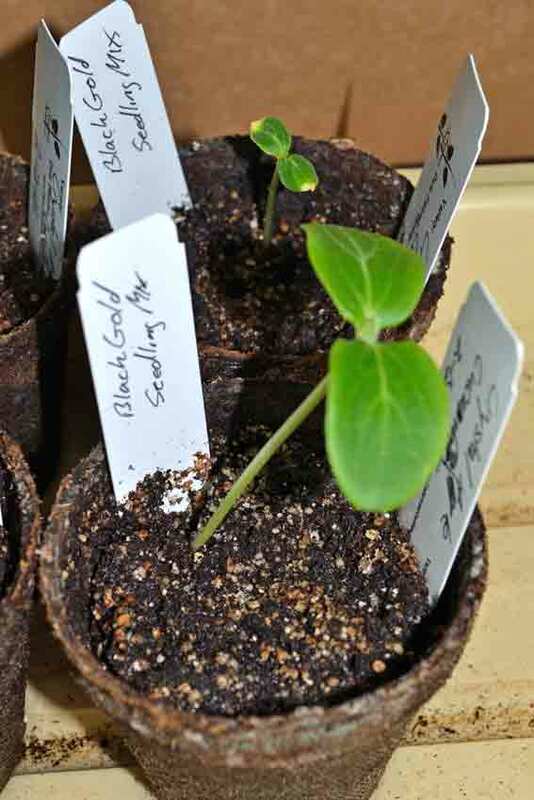 We planted the Crystal Apple cucumber as the test seed, since cucumbers have a good strong seed germination and we know the germination percentage as we had just finished doing seed germination tests on the new seed stock. After 14 days, this is what the test looks like. The six seed starting cups have been in the same tray with the same heat from a heat mat underneath and with the same amount of water, as they were watered from the bottom by adding water to the tray. 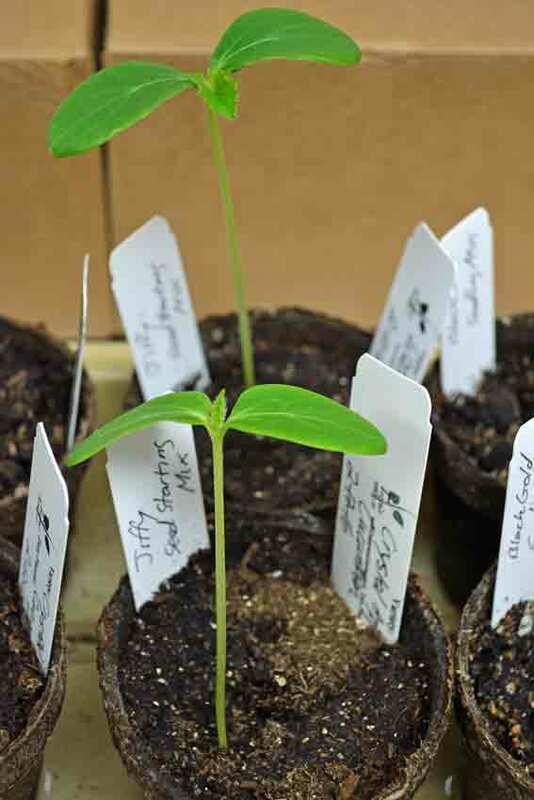 The Jiffy mix has the tallest seedling, followed by the Black Gold and the Miracle-Gro cups only having one seed just starting to peek itself out. A closer look at the Miracle-Gro cups with the tiny little yellow spot being the seedling just starting to peek out. There is no indication of seed germination from the other cup. There is also no sign of mold or fungus that might be inhibiting the seed germination, either. The Black Gold cups have really good seed germination in one cup, with a much delayed seedling in the other. Both look strong and healthy, with the two yellow spots on the smaller seedling in the background from where the seed was holding on after sprouting and emergence. 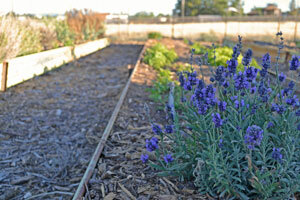 The soil looks good in this set as well, no mold or fungal issues. The Jiffy seed starting mix was the clear winner in this test, with both seedlings coming up within a day of each other and both growing strong and at about the same rate. Both have started putting on their first true leaf with the one in the background being just a little bigger. What we found really interesting was Jiffy was the hardest seed starting mix to work with, being very water repellent, very light and fluffy. It was difficult to get into the cups without spilling it and Cindy had to really water it and work the water in for the first couple of times to get the media moist before planting the seed. The water would pool up and run over the lip of the cup, without any getting into the media. She had to dump the excess water out, add a little bit and carefully mix it in with a small tool to get the media to start to absorb the water. It took a few times of this to get the initial wetting done and after that there were no more problems. This soil looks really good as well with no mold or fungal issues. The seedling tray next to the six pot test tray looks like this – it’s a test planting of another new Oaxacan chile we hope to bring to market and this is the grow-out test planting. All of these seeds are planted in Miracle-Gro and as you can see, they are doing well. The seed germination has been good and at an even rate, with almost all of the cups having a seedling at almost exactly the same stage. If we hadn’t observed the difference in seed germination rates between the two flats, we could easily conclude the Miracle-Gro is a poor choice for starting seeds in. However, the chile seedling tray disproves that. Cindy had almost given up on seeing any seed germination from the Miracle-Gro in the cucumber seed test, but then three days later the first seedling peeked out. This is the lesson of patience; so many times we’ve gotten calls or emails from semi-panicked or frustrated gardeners saying their (our) seed hasn’t come up yet. 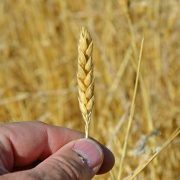 Most of the time, the needed seed germination period hasn’t elapsed yet, so we ask them to wait until the normal germination time has passed, then let us know. Almost without fail, we hear back in a couple of days the seeds have sprouted. Please realize, just because we had these results with our very small and informal test doesn’t mean you will get the same results. 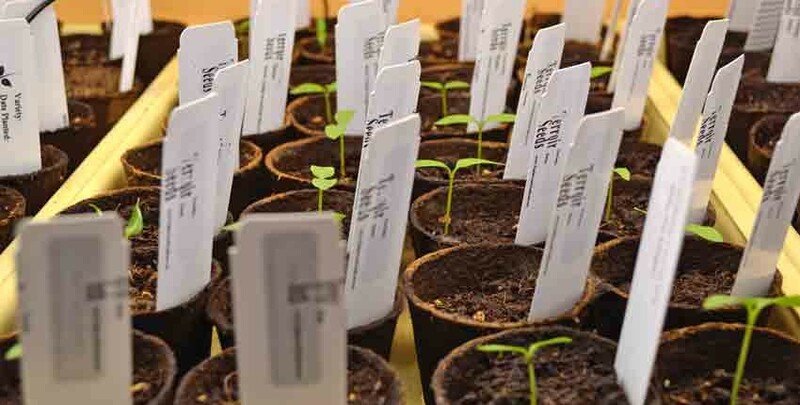 Seed starting mixes and potting soils are formulated differently in different regions across the country, and those ingredients often change from one supplier to the next, depending on the time of year and availability. It is well worth doing a similar test of your own to see what works best for you in your location. 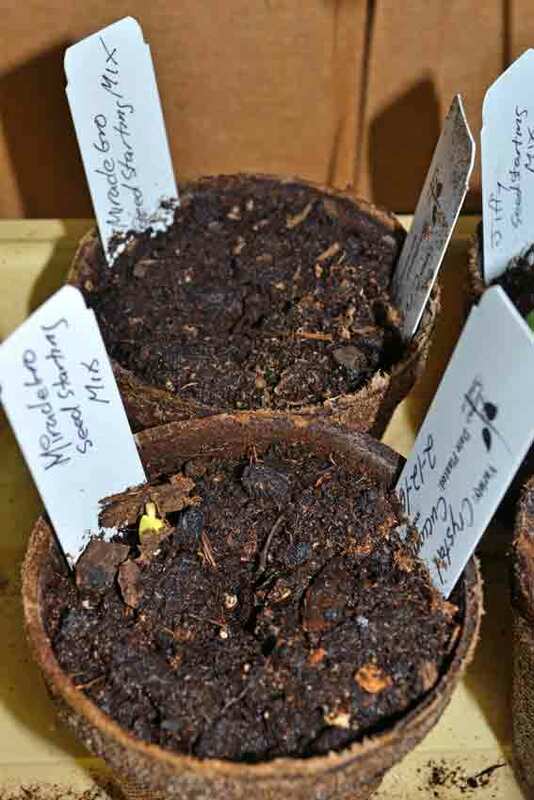 Buy a few different bags of seed starting mix and potting soil to see if you have different seed germination rates, then you’ll have a better understanding on how this part affects sprouting. Now you’ve seen our experiments and experiences, what are yours? Have you had a similar situation turn out completely different than you expected it to? This may only be theory, but it seems that if a seed is slower to grow, it can be stronger. 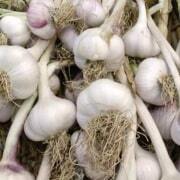 It could have more time to develop a good root system, and the plant itself may be more beefy. Vickey, that definitely applies to a seedling growing a bit more slowly and becoming very robust and strong. 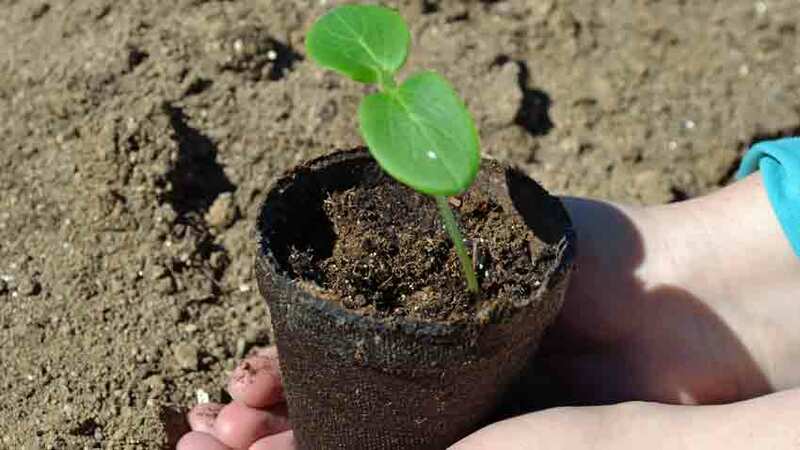 However, the seed contains only so much nutrients to get the seedling started, so if it takes too long it won’t have enough stored energy or resources to grow into a strong seedling. I have used Jiffy mix for years with great results. It is also the only thing I could find in my rural area for a long time. I used to have to mix my own. 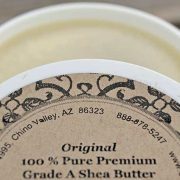 I mix it with water in a tub with a lid and let it set for a few hours, or overnight. Stir a few times and it is perfectly moistened. When I have to plant right away I heat the water a little and it mixes easier.